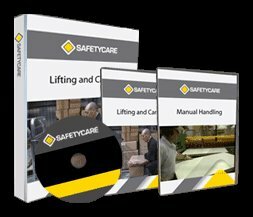 Workplace Safety Blog | Safetycare | Safety Training Videos | Free Safety Pictures and Resources: Working at Heights: This isn't really working! Why is this worker free climbing the frame when there is a scissor lift available? 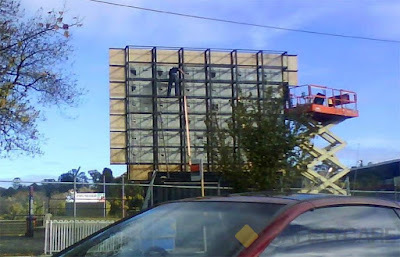 Unfortunately, the scissor lift is the wrong type of elevated work platform to reach across the top of the building at the base of the billboard. Usually you can get where you need to work by selecting an appropriate EWP. When an EWP cannot reach, a fall arrest harness with a twin lanyard setup maybe acceptable. Good balance, a firm grip and good luck just doesn’t make the grade.